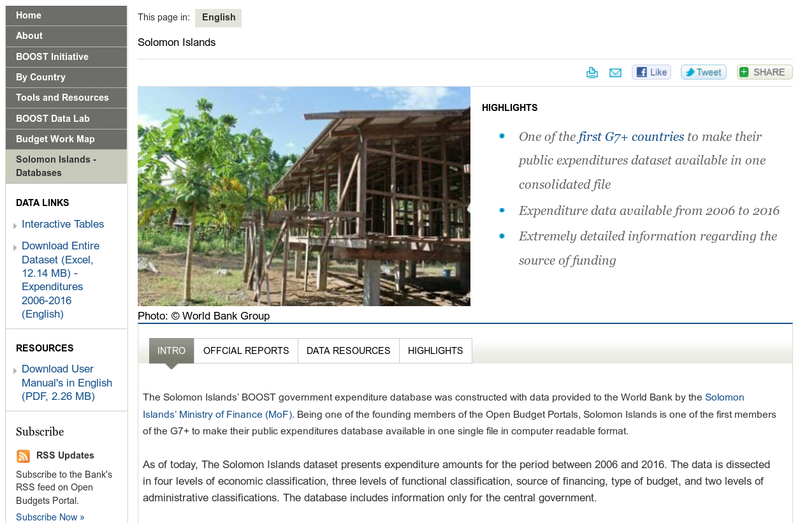 The BOOST Open Budgets Portal is a World Bank platform with expenditure data for numerous countries that can be used for analyses and comparison purposes. The portal includes budget data and expenditure analysis for a number of different countries, provided by national governments, the World Bank, and other contributors. This information can be used to compare expenditure, performance, and analysis methodologies across various countries.